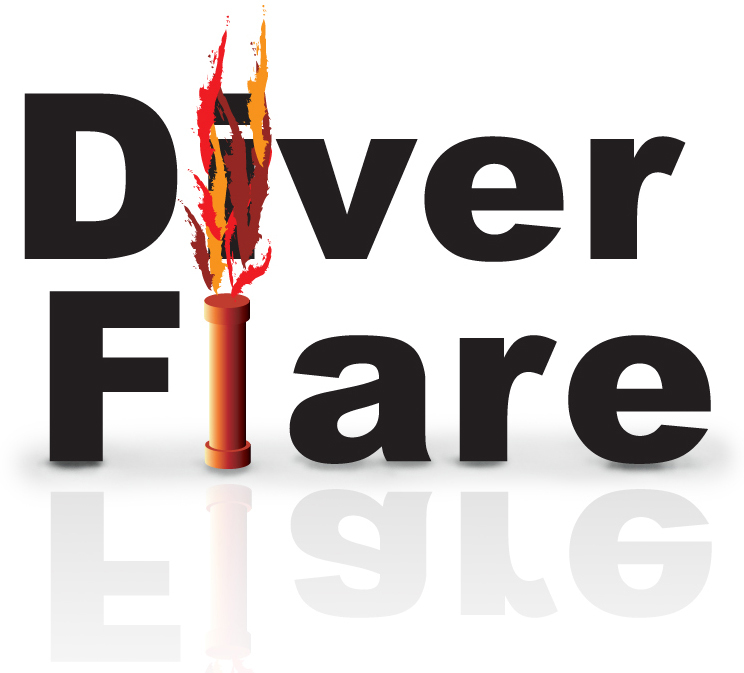 Diver Flare is a safety system designed to assist in the recovery of a diver who is separated from a boat, or drifting in a current or generally distressed on the surface of the water. The diver will be able to fire a distress flare that has been kept dry by the enclosure to attract attention from aircraft, boats or people walking along the shore, thus enabling the diver to be seen and recovered. The canister needs to be secured to the B.C.D. by a lanyard, or stowed in a pocket or ideally mounted on the left of the jacket by a velcro band, ensuring that the Diver Flare is fitted upright with the latch and cap at the top. On requiring to use Diver Flare, simply flick the latch upwards and the cap will spring open exposing a portion of the flare above the open top of the canister enough to grab hold of and withdraw the flare. The flare is packed upside down in the canister so on withdrawal it is in the hand the correct way up.